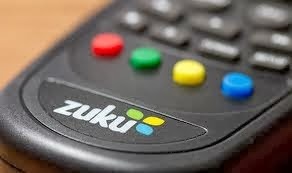 Cable tv service provider, Zuku has cut by 30 percent the price of buying and installing its branded set top boxes to capitalize on last minute rush purchase by Kenyan viewers. It has lowered the price of decoders to Sh 5600 down from the market rate of Ksh 8500. Government has reiterated it will effect the big switch to digital broadcasting on December 13, starting with Nairobi and its environs. The pay tv provider has also embarked on a countrywide marketing campaign aimed at strengthening its presence in the East Africa. The drastic cut in prices will come as a welcome reprieve for consumers at a time when the country is rushing to beat the recently rescheduled digital migration deadline. The promotion is also expected to grow the firm’s subscriber base across the country with the price cut targeted for grass root campaigns, in its latest onslaught to the market. “This campaign is geared towards increasing Zuku’s footprint across the country in providing Kenyans with affordable products to enjoy pay TV services.” said Richard Alden, Wananchi Group CEO. Alden added that firm is keen to drive sales by capitalizing on a countrywide caravan that will visit different counties for six days in a bid to activate high population areas. “The team on the ground is charged with informing, selling and collecting prospective leads for future business.” revealed Paul Healy, Zuku Chief Product and Marketing Officer. The firm also seeks to strengthen brand awareness by offering free subscription for the three different package offerings. Consumers can enjoy three months free for the basic package, Zuku Poa while those who opt for the Classic package get two months free for the Classic package. A one month free incentive is in place for the Zuku Premium package, in the promotion that ends on 31st December 2013. Following the firm’s investment in an upgrade to bigger capacity and advanced transponder satellite early this year, the firm has over 90 channels in its bouquet provisions. The Pay TV industry continues to compete for subscribers through strategies to attract Kenyans as the digital switch draws closer.